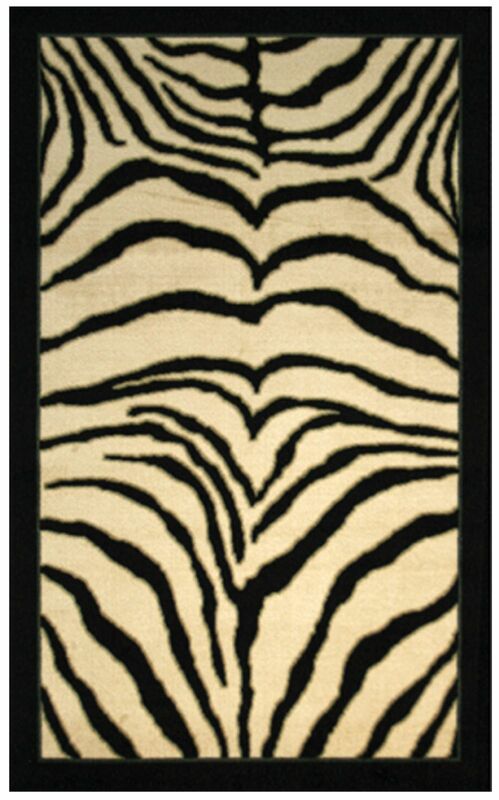 Take a walk on the wild side with this rug design. This black and cream tiger print is an excellent way to add style to your decor. To create a chic contemporary statement pair this rug with a black leather sofa set. Printed on the same machines that manufacture one of the worldÍs leading brands of printed carpet, this rug is extremely durable and vibrant. This technology allows the use of multiple colors to create a rug that is wonderfully designed and applicable to any room in your home. Crafted completely in the USA, this rug is made from durable stain resistant nylon.